Simply Psychology, fourth edition, is an engaging and reader-friendly introduction to the key principles of psychology. Organized around the major approaches to the subject, it covers biological, developmental, social, and cognitive psychology, as well as individual differences. It also concludes with a practical chapter that offers students tips and advice to help them improve their study skills and get the most out of the book and their studies. Simply Psychology is ideal for students studying psychology for the first time, as well as those in related fields such as nursing, social work and the social sciences. 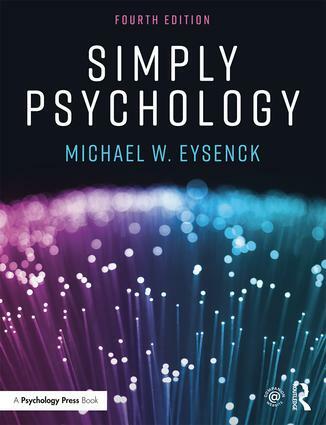 Michael W. Eysenck is one of the best-known psychologists in Europe. He is Emeritus Professor of Psychology in the psychology department at Royal Holloway University of London and Professorial Fellow at Roehampton University. He is especially interested in cognitive psychology (about which he has written several books) and most of his research focuses on the role of cognitive factors in anxiety within normal and clinical populations.